By the music makers, for the music lovers. 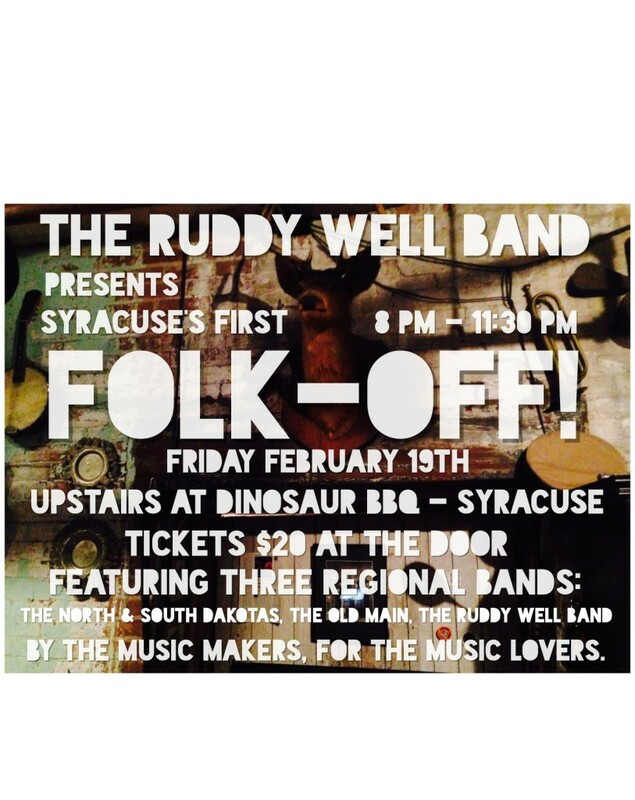 Come share in Syracuse’s first Folk-Off, downtown at Dinosaur Bar-B-Que. One night…three bands…featuring music from the Old Main of Utica, the North and South Dakotas of Saratoga, and Syracuse’s very own Ruddy Well Band. 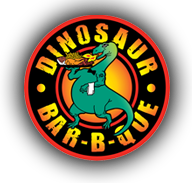 On Friday the 19th of February, at 7:30, the doors will open upstairs at the Dinosaur Bar-B-Que. The show begins at 8:00pm. Tickets are available at http://ruddywellband.ticketleap.com/folkoff/ : General Admission – $15.00 for advanced tickets and $20 at the door. Support local music and Folk-Off!